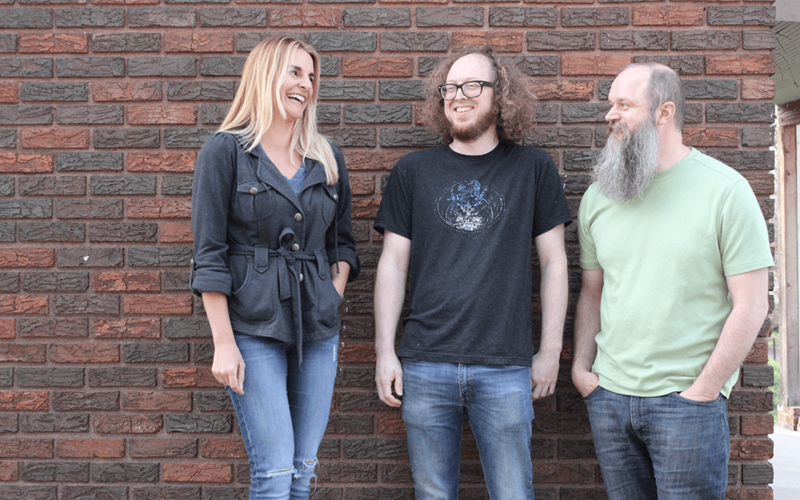 The Startup Collaborative’s fellows Luke Armstrong, Leah Buller and Brian Harvey are pushing the bounds together, harnessing their collective know-how to disrupt the lead-generation game. Think of their latest brainchild – TextyPitch – as an interactive, digital business card exchanged via text message. SMS-enabled TextyPitch falls under the TextyPress banner; a company that also includes TextyTours.com, the team’s initial exploration. Luke (RenMind) and Brian (Heartland Web Development) first came together in 2017 to develop that concert – virtual neighborhood tours via a text-initiated smartphone app. Leah (Founder Haute Bauble, LLC) joined the team in 2018 to boost sales and serve as TextyPress company president. By mid-2018, Leah says the Texty team was working on several concepts with a broader appeal and more visible target audience – TextyNews (a modification of the original TextyTours concept) and TextyPitch, which is aimed at companies/sales reps who use presentations or one-on-one networking to acquire prospects. “Sales and marketing reps can ask interested prospects to text a keyword to their designated TextyPitch number. When the text is initiated, the prospect will receive their contact info and custom-branded pitch all wrapped in a presentable package,” Leah says. Leah, Brian, and Luke arrived at TSC over a year ago. Right now, they’re focused on testing TextyPitch for local sales professionals and enterprise-level sales forces. Three innovators pushing the bounds of SMS technology. Leah says the Texty team knew they had something valuable when TextyPitch was tapped for the Cox Get Started challenge – not as a presenter but as a supporting technology. Make The Startup Collaborative your next step in innovation.